What can we tell you? Welcome to our Blog -Autism Resources and Community (ARC)! Lesson plans for autism education, and early childhood education, along with teaching-tips from boots-on-the-ground educators and autism therapy professionals … yep, that’s our blog! 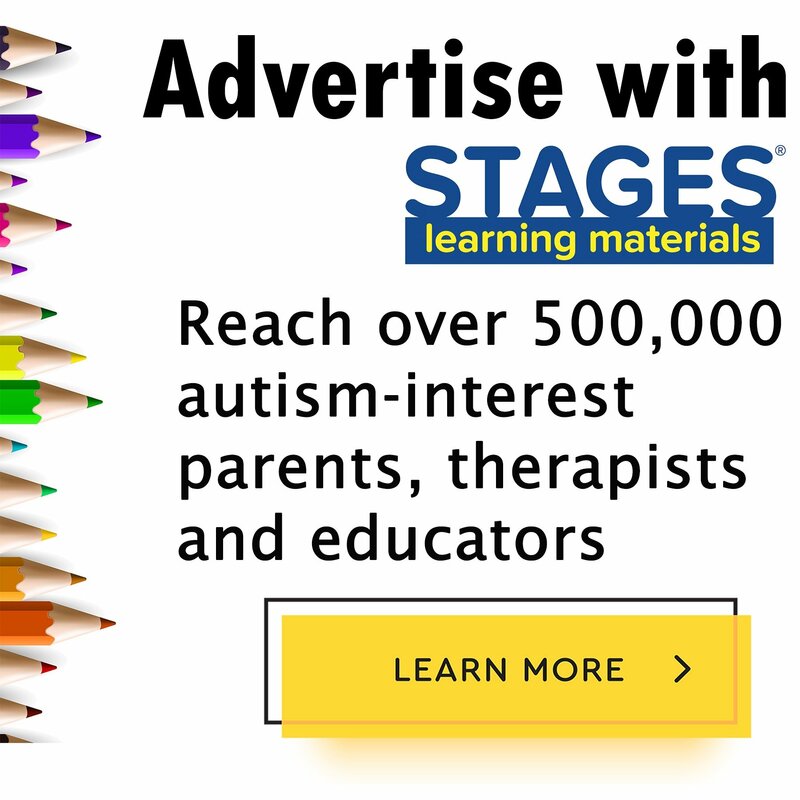 Browse our autism education ideas, autism therapy resources, and ABA therapy ideas to find what you need for your special education or early childhood classroom. Our goal is to provide you with autism education and therapy articles, and general support to help promote positive special ed and regular ed learning activities at home and at school. Don’t just read … comment! Let us know what you think and what you want to hear about. Make sure there is enough space that students can sit in a circle and have room to move in the center. Write 10 - 20 action verbs (related to animals) that you would like to introduce, depending on the level and number of students. Have students sit in a circle on the floor. 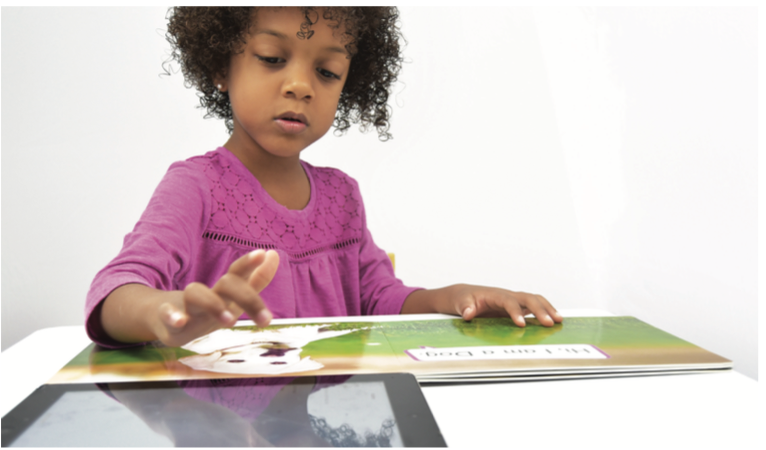 First, without the app, allow students to explore the pictures of pets in the book, and ask questions to connect to their experiences with pets. What animals do they recognize? Do they have pets at home? What kind of pets? Do they have friends with pets? Would they like to have a pet? Put the book aside and introduce the concept of verbs, words that can move. Allow students to come to the center of circle, one or two at a time, and draw an index card with a verb. Have the student read the word out loud or assist the student with the reading. The student should act out the verb, while the rest of the students brainstorm what kinds of animals can do that verb. Cycle through the other verbs cards. You can ask the students whether humans can also do the same verb. Next, read the Link4fun Pets book together. With each animal you meet, ask the students, “What can _________ do?” For example, a child might say that a dog can eat fish, a fish can swim, or a cat can climb. As students take turns exploring the app, continue acting out animal verbs. For example, a student can watch the video of the cat playing and imitate. You can take pictures of the student acting like the animal with the iPad to store in the gallery. 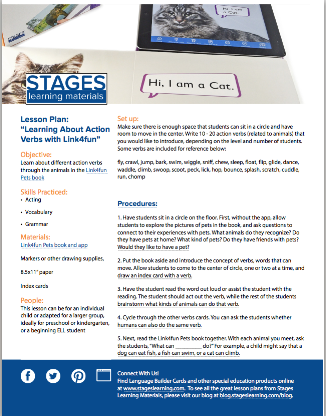 Optional: After reading the book, pass out the index cards or pieces of 8.5x11” paper for students to write the verb and illustrate animals doing the verb. 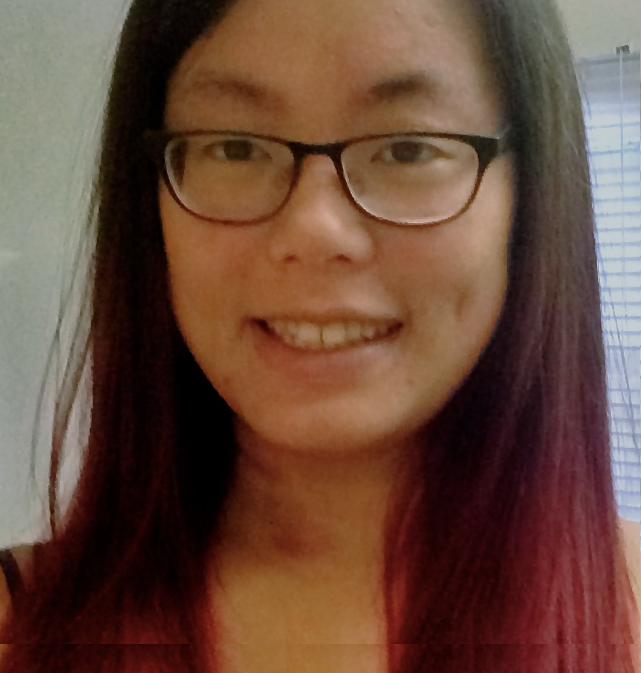 Sophia Chung is a Masters of Education candidate studying at Harvard Graduate School of Education, focusing on Technology, Innovation, and Education. She is passionate about learning through tinkering, advocating for inclusive education, and storytelling with kids. We want to know what you think! Please share your questions and comments about this article, and participate in the dialogue.